There aren’t many people who don’t get the toe-tapping bug when a big band tune comes on. There’s something uplifting and joyful about it. Mostly associated with the 1930s and 40s, with the likes of Glen Miller, Duke Ellington and Benny Goodman, it endures to this day and is making something of a resurgence in the venues of Sussex and London and the rest of the world. As we know here at The Jazz Agency, there are some terrific big band era bands out there, just waiting to play at your wedding, corporate event or party. They’ve livened up pubs, clubs and hotels and got them dancing on cruise ships and they’re available for you today. Getting that ideal big band sound needs quite a few good musicians with sax, trumpet, double bass and vocals to take you right back to the 1930s. Fortunately, with our mix and match musicians, you can get the combination you need to keep your event swinging. Rockin’ in Rhythm are one of the most popular eight piece bands available in the Sussex and London area, and they’ve been filling the dance floors of Europe and the UK for over 20 years. If you want a band to lift the roof off your venue and get everyone smiling and jigging, then Rockin’ in Rhythm are the band for you. Trumpet player Chris Coull leads the dance when his band takes to the stage. 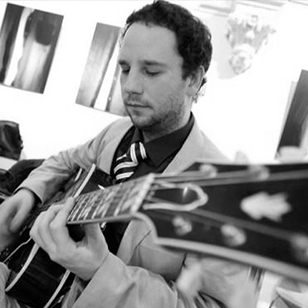 If you have a wedding and you want something mellow to start the evening off, Chris and his fellow jazz musicians can ease you into the festivities, upping the tempo later on when everyone is ready to dance. 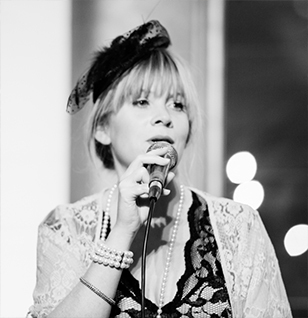 Nothing sets off a big band sound like a classic female vocalist: at The Jazz Agency we’ve got some of the best. Check out the mellow sound of Ela Southgate. Or the jazzy flavour of Sara Oschlag. It used to be that to hire a jazz band you had to go through agents and networks and even then you weren’t 100% sure that you were getting the right thing. The internet has made it easier for groups of talented people to get together and it’s now a far simpler process to see how they perform live and then to hire them. That also brings the cost down as you can choose different options to suit your budget. Find out how we keep the prices down here. Check out your venue and decide which kind of ensemble will fit comfortably. Decide on the mood you want to create and how much you want to pay. Search our list of professional jazz musicians and listen to them perform. Contact us to check if they are available and then sign the contract. 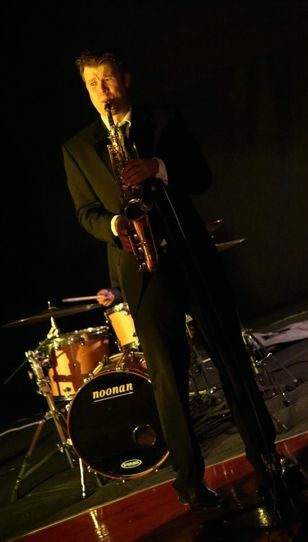 Hiring big band jazz is becoming more and more popular in London, Sussex and the other Home Counties simply because you can get great talent and something different for your event at a price that many people can afford.